Eucris from Geo. 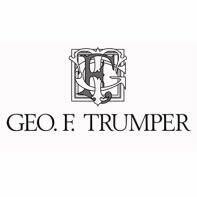 F. Trumper is one of the great signature fragrances in the wet shaving world. You can now enjoy their famous soft shaving cream in this large 200g screw top tub. Best applied with a shaving brush, you only need a small amount of this this glycerine based shaving cream to create a rich, thick, protective shaving lather. Trumper's Eucris Shaving Cream is distinctive with a discreet but memorable fragrance. The warm, sensual fragrance comes from a blend of sandalwood, musk, jasmine, muguet, cumin, coriander and blackcurrant. Free delivery* available on all orders over £75! Use with a good quality shaving brush and a few drops of warm water, lather for around 1 minute until a rich, thick and emulsion-like lather is formed then paint onto the face. At last Geo. F. Trumper have made their incredible Eucris shaving cream available in a large 200g tub. As used by James Bond in the Ian Fleming novel On Her Majesty’s Secret Service, you can now look and feel as suave as Bond himself. Aqua (Water), Stearic Acid, Myristic Acid, Potassium Hydroxide, Coconut Acid, Glycerin, Parfum (Fragrance), Triethanolamine, Sodium Hydroxide, Methylparaben, Propylparaben, Coumarin, Evernia Furfuracea Extract. The Executive Shaving Company treats the delivery of all our customers’ orders as a priority. We want you to receive your order as quickly as possible, so you can start enjoying it. Orders will be dispatched on the same day as the order is placed, providing we receive the order before 15:00 GMT Monday to Friday. Orders placed over the weekend or on Bank Holidays will be dispatched the next working day. We offer Standard, Express 24 hour, Next Working Day before 1pm and Saturday delivery services to customers in the UK. You will be advised of all the delivery services you can select for your order when you checkout. Free shipping is currently available for all UK orders over £75 only. This free service is our Standard Shipping service by Royal Mail and can take between 2 to 5 days for delivery. We dispatch orders to international addresses too. You will be able to select the delivery service for international orders when you checkout. 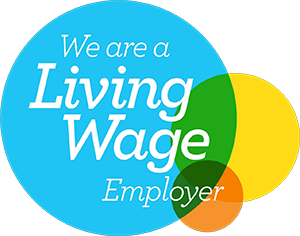 You can see the full details of our Delivery Policy here. If you have any queries about our delivery policy please contact us on 0141 880 3040, or email us at info@executive-shaving.co.uk.